The Teschin Bridge rises between Primorsky and Zhvanetskiy Boulevards. This is one of the most amazing sights. The construction of the bridge began in 1968 and ended in 1969. 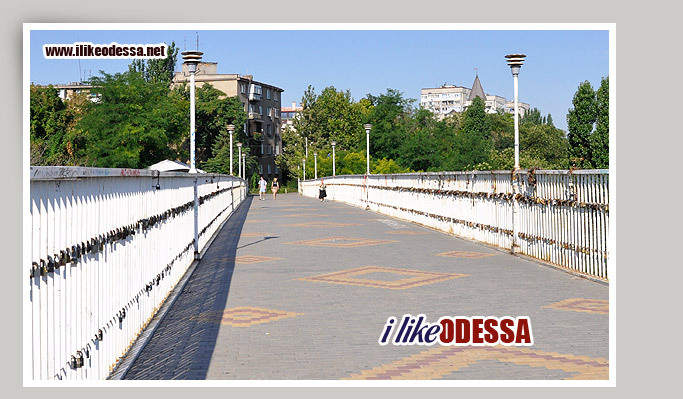 As a result it was built a very long and narrow bridge in Odessa. One edge of the bridge is next to the Vorontsov Palace, and the other one goes to "old Odessa" where is located the bridge of kisses and an ancient well. The Teschin Bridge is a very beautiful and cozy place. 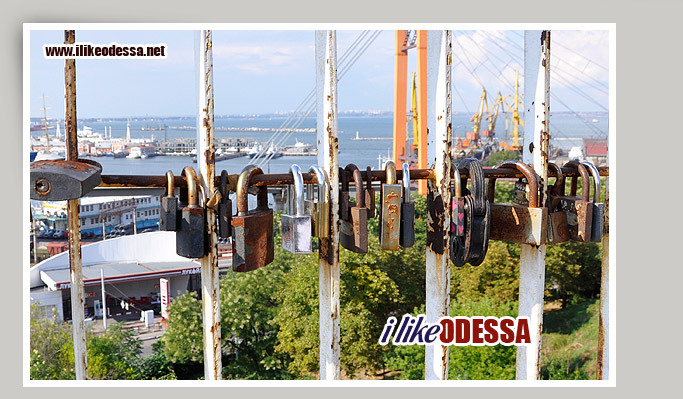 The citizens of Odessa believe that a wish next to the Teschin bridge will come true, and couples on their wedding day hang locks on it as a sign of consolidation of family, and believe that this ritual will bring them happiness. There are many locks on that bridge now. As a result, the romantic tradition has endangered this architectural monument. The initiative group of "Kyivstar" proposed and established an art object in the shape of a heart, which is called "Loving Heart" as an alternative to continue this tradition. From Teschin Bridge you can see the biggest part of old Odessa. Another amazing feature of the bridge is that if a group of several people jumps at the same time, in the center of the bridge, it begins to bounce and vibrate. 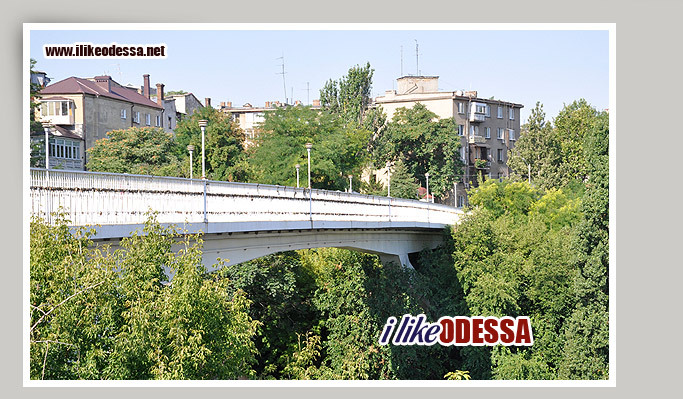 The history of the beginning of the bridge in Odessa is overgrown with rumors and speculation. The standard version says that the construction of the bridge was dedicated to the 50th anniversary of the Soviet Union, and was even called at one time the Komsomolskiy Bridge. The original version sounds different. At the time, the chairman of the Party Mikhail Sinitsa lived on Primorskiy Boulevard, and he had to visit his mother in law by a roundabout way, and so he ordered to build a bridge from Primorskiy Boulevard to Komsomolsk as it used to be called. Now this boulevard is renamed as Zhvanetskiy Boulevard. There is a third origin of the name of the bridge - though long and narrow bridge, which is really a bit shaken by a strong wind, reminds a tongue of a mother in law. In any case, the Teschin Bridge, located over the Military descent is a very beautiful place for walking tour along Primorskiy Boulevard and "old Odessa."